Bandsintown fans, watch it here first! Everything's coming up roses in the visuals for "How Do You Feel? ", the closing song off The Maine's epic 2017 LP, Lovely Little Lonely. 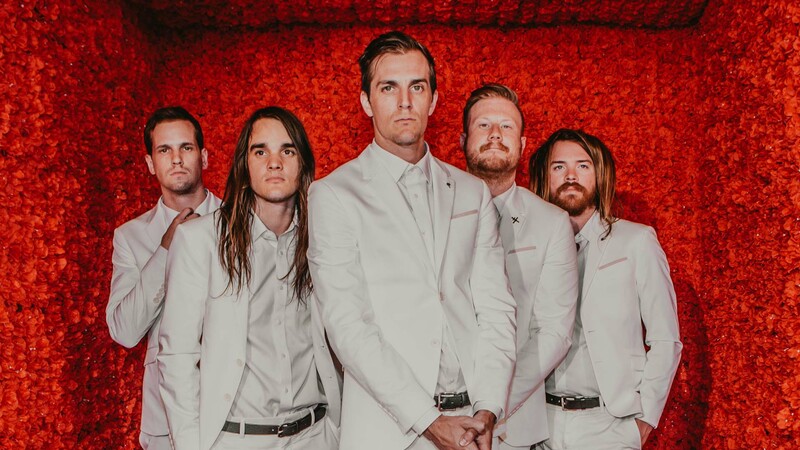 Released today, the music video for the introspective stunner depicts the band—John O’Callaghan, Pat Kirch, Jared Monaco, Garrett Nickelsen, and Kennedy Brock—performing on a variety show stage in matching ensembles, a la our favorite '60s acts. "This video was inspired by both the Beatles on Ed Sullivan and The Animals video for "House Of The Rising Sun". Simplicity and aesthetic in mind, but really placing the focus on the track," said frontman O’Callaghan. "The weirdo 8mm vibe and trippy edits were all an homage to the early psych movement, and for me helped make the performance aspect of the video more interesting visually. Hyped on the way it all came out!" Fans of the Arizona natives' genre-bending sound can catch the five-piece performing the track live when they embark on their Modern Nostalgia Tour next month, which will see support from both Dreamers and Night Riots. Even better? If you RSVP for your show date on The Modern Nostalgia Tour on Bandsintown, you'll receive a message from the alt-rockers the morning of the concert about exclusive, one-of-a-kind prizes that they'll be giving away to attendees! Check out the video below, then make sure to Track The Maine to stay up-to-date with all their touring news!